The Nigerian chart topping musician was seen flexing for the gram recently in her all black attire. What caught our attention however are her shoes. The shoes are by Dior and they are part of the "J'adior" collection from their S/S 17 collection. 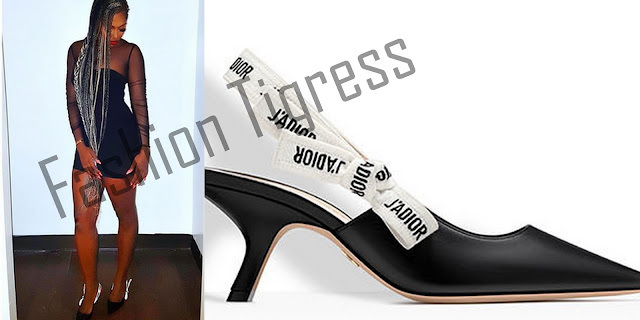 The shoes from the collection are made from either patent leather or lambskin and they both have the embroidered J'adior ribbon.They are either flat or with a lil heel. As expected, the shoes do not come cheap. Right now, they are said to cost from N300,000 upwards.